Warts come and go on their own schedule. When they appear, all you want is for the ugly things to go away. So you start the search for the best way to get rid of your warts. Friends tell you how they killed their warts at home. Others swear by the products they bought at a drugstore. Internet advice includes just cutting warts out with a sharp knife. How can all these different treatments be effective? Which should you try? Does the location of your warts determine the best treatment? Read on for information on getting rid of warts. How Can I Get Rid of Warts on My Face? There is no lack of treatments and remedies for getting rid of warts. Some wart removers kill the wart from the outside in, while others attack the wart from the inside. There isn’t a particular remedy or treatment that always works for everyone, but with experimentation you can find the best solution for you. In most cases, a wart remover works by eroding away the surface of the wart layer by layer until nothing is left. That can take time. The gentlest remedies usually work the slowest but they don’t harm healthy tissue or expose you to toxins. If you are patient, those can be your best choice. Are There Good Home Remedies for Warts? Home remedies for warts are a good place to start for many. Duct tape on a wart smothers it. 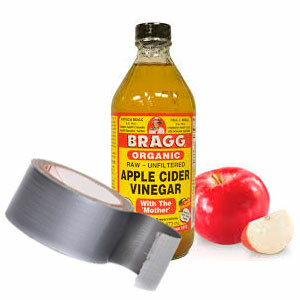 Another popular home remedy is dabbing apple cider vinegar frequently on the wart. The vinegar is acidic and erodes the wart tissue. You can accomplish the same with the juice or pulp of any acidic fruit. Further details about home remedies for warts can be found here. Salicylic acid is a proven OTC wart remover. Repeated applications dissolve the wart. Many professionals prescribe salicylic acid as the first line of treatment. Prescription strength works faster than OTC products. Click here for more information about best over the counter wart remover. Warts are a symptom of a viral infection. Immunotherapy is treatment designed to stimulate your immune system so that it can fight disease. Warts are caused by an invasion of the human papillomavirus. There is currently no cure once the virus is contracted. Only your immune system can repel or suppress it. 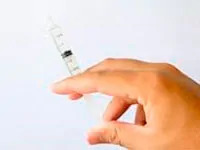 Certain substances can be injected directly into the wart that will stimulate the immune system. When your immune system rids itself of the viral infection, your warts disappear. Many people regard facial warts as the worst of all warts. Those warts are often not painful, but they are visible to the whole world. 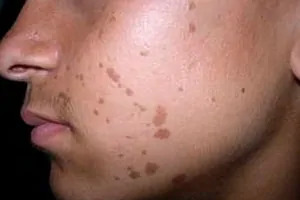 Facial warts can have a negative impact on your self-esteem and interactions with others. Eliminating them is a priority. While you can experiment with wart treatments elsewhere on your body, you need to exercise caution about what you put on your face. Not only will harsh treatments irritate your sensitive facial skin, they can leave scars in place of the warts. You also have to avoid getting any wart removal products in your eyes, nose, or mouth. Please see detailed descriptions about warts treatments here. Facial warts are often flat in appearance. It is generally safe to use an electronic wart remover device on these. Skin tags are benign growths that grow on your face and neck. It is generally safe to use wart remover products for skin tags. Some wart removal treatments work quickly, but most require more than one application. Many of the initial or repeat applications can be done overnight. Salicylic pads and patches can be placed on your warts when you go to bed. Plantar warts are more conveniently treated at night, when you are off your feet. Wart removal products for genital warts may be kept in place easier when you’re in bed. Although you might lose some sleep, you are less apt to scratch or pick at warts that are itchy or irritated as the treatment works to destroy them during the night. That reduces the risk of infection and your warts will vanish quicker. Warts will eventually disappear if left untreated. The fastest way to get rid of warts is to have them treated by a wart removal doctor. Excision is surgically cutting off a wart. Despite internet advice, trying excision at home with a knife or razor can lead to serious blood loss and infection. Sometimes one of these procedures will eliminate your warts with one treatment. However, you may require more than one treatment. The stages of wart removal are different for everyone. The various medical procedures usually remove warts much faster than home remedies or over the counter medications. If your warts are large or numerous, you may opt for laser wart removal. It can be expensive as well as painful, but it is effective. It also rarely leaves scars, so your doctor may recommend it for facial warts. Although the laser beam touches your skin for only a fraction of a second, your doctor will probably numb the area first with a local anesthetic. Warts are nourished by an extensive system of blood vessels. 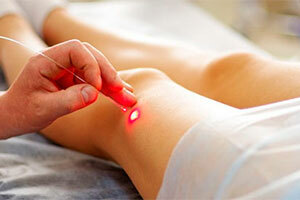 The laser beam seals the blood vessels and the wart essentially starves to death. 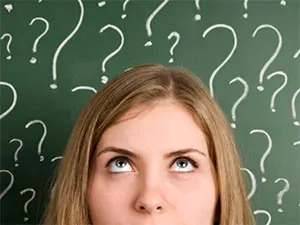 The number of warts you have, where they are located, and how much they bother you makes any decision about the best wart removal choice very personal. Each of these criteria will vary from person to person. Products that work overnight for one individual might never work for another individual. Some products are very effective in killing warts for one person but cause an allergic reaction in another. Facilities and specialists available in your area. Wart removal surgery may be the best choice when other treatments or products don’t work for you. If there could be only one wart remover regarded as best because it works for the greatest number of people, it would be salicylic acid. Professionals and individuals have long made it their first choice for effective wart removal. Every treatment or remedy for getting warts has been effective for someone. Each also has advantages and disadvantages. Your personal circumstances will determine the most effective wart removal treatment for you.